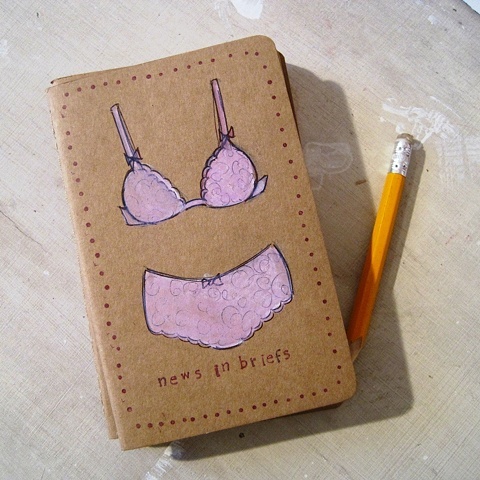 The News in Briefs, is that I sold this lovely little Moleskine Notebook to a lovely woman in the studio, practically before the ink was dry. She helped me decide whether to handstamp titles on my most recent batch of notebooks, or leave them blank. We went with stamping... and then she came back about an hour later to buy one! All this means that you are too late to get your mitts on this notebook... but good news you can order your very own notebook, with any kind of pants you like!